Product prices and availability are accurate as of 2019-03-11 02:26:09 EDT and are subject to change. Any price and availability information displayed on http://www.amazon.com/ at the time of purchase will apply to the purchase of this product. 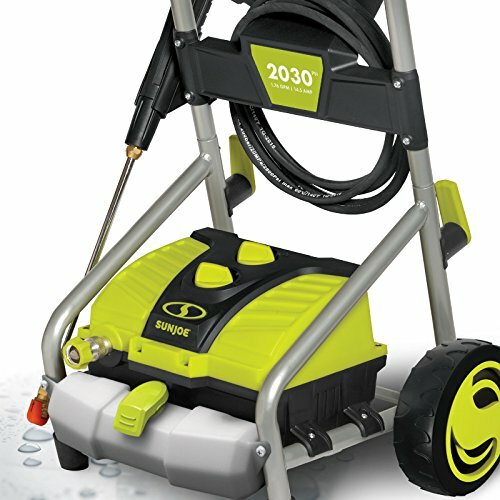 The Sun Joe SPX4000 Electric Pressure Washer with Pressure-Select Technology allows you an ideal way to deep clean your siding, deck, driveway, and more. 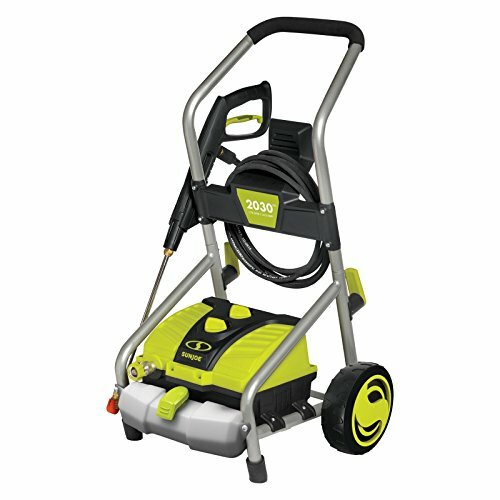 This pressure washer is powered by a 14.5-amp motor, blasting out up to 1.76 gallons-per-minute with a maximum pressure of 2,030 PSI. A detergent tank is built into the design, letting you add soap and other cleaners. A number of different spray tips and pressure settings let you tailor the washer to the job at hand. A 20-foot garden hose attachment is included. Snow Joe has a robust research and development team that works hard to bring you creative, pleasing designs combined with technological advances to provide you with high-quality outdoor products. Originally started to bring you outdoor power equipment designed for winter, Snow Joe now distributes a wide range of easy-to-operate, reliable, and powerful equipment to take care of everything from snow removal to trimming your hedges. Designed for everyone, from the garden enthusiast to the average "Joe", Snow Joe has the perfect outdoor solution for you. Based in Edison, N.J., Snow Joe distributes its products throughout the United States and Canada. Snow Joe is constantly developing new products for each season, and has expanded their line to include indoor solutions with holiday storage, humidification, and insulation products. Dimensions: 21.1L x 19.3W x 36.6H in.. Comes in green and black colors with 1800 watts power. 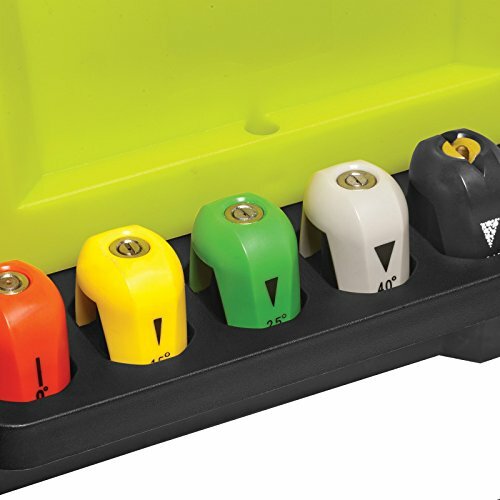 Features 5 quick-connect spray tips (0, 15, 25, 40 degrees, and soap). Weighs 30.4 lbs. 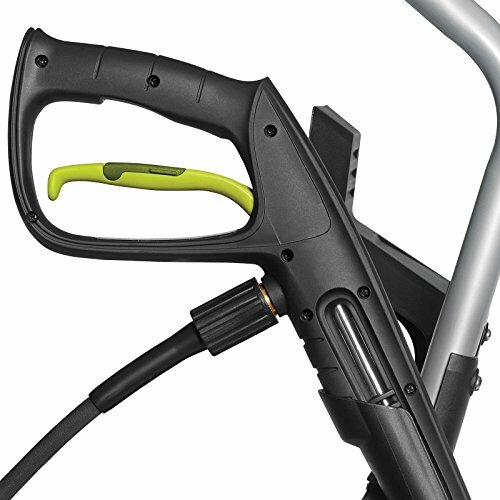 with 1.76 GPM for maximum cleaning power. Features 14.5 amp motor that generates up to 2030 PSI. 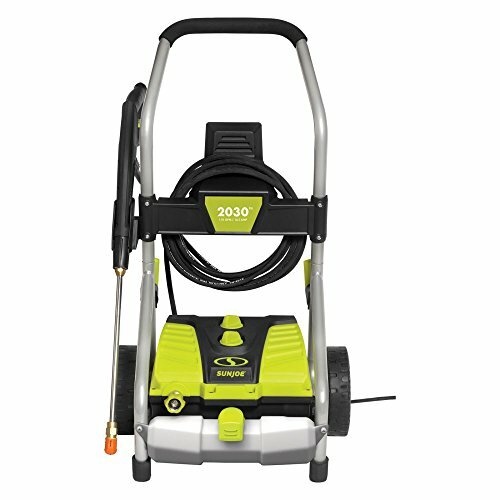 Comes with GFCI protected power cord, garden hose adapter, needle clean out tool, extension wand, and 25-ft. high pressure hose. 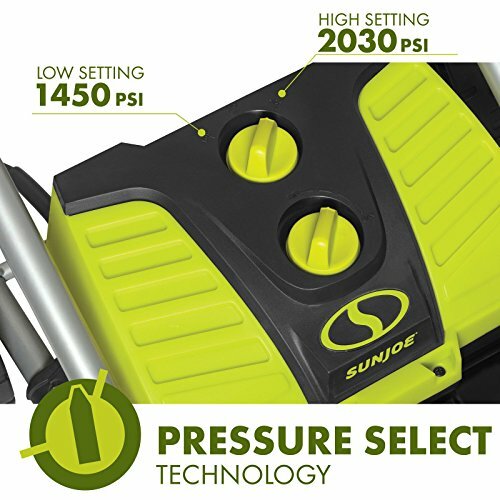 Features pressure select technology with 2 options. comes with 54.1 fl. oz. detergent tank. With total stop system for energy saving and automatic pump shut off when trigger not engaged. Easy maneuverability with glide wheels.